After World War II, air conditioning manufacturers in the U.S. were excited to cash in on Japan’s sweltering summers. That’s when air conditioners were first introduced to Japan. Home and building owners in Japan were deeply disappointed. Mitsubishi’s early A/C systems could not be used in Japan for a few interesting reasons. Japanese homes were famously small, thin walled and tightly clustered together. Not a good match for loud, droning AC’s and their massive, bulky duct work. Also, Japan’s energy costs were sky high then. That alone meant doom for the earlier, energy hogging AC’s. Again, the Japanese adored the idea of AC’s, so their manufacturing engineers quietly went to work. In 1959, Mitsubishi finally succeeded in reinventing air conditioning. 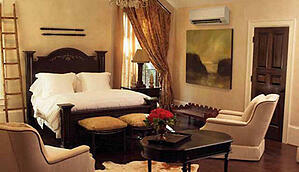 They introduced the Ductless Mini Split Heating and Cooling System. Mitsubishi’s “split” technology enabled each room to have its own temperature zone, eliminated bulky duct work, ran quieter and was much more energy efficient. In time, the popularity of these unique systems spread across Europe and other parts of the world...but not here in the United States. Distributors said no. Decades later, Mitsubishi’s AC marketers became savvier at directly educating U.S. consumers. The response was dramatic. Now, hundreds of thousands of ductless mini splits are sold in the U.S. every year. Manufacturers continuously advanced their ductless technologies - with Mitsubishi leading the pack. The latest systems are far more energy efficient. They’re quieter still, run cleaner and they meticulously filter out allergens. 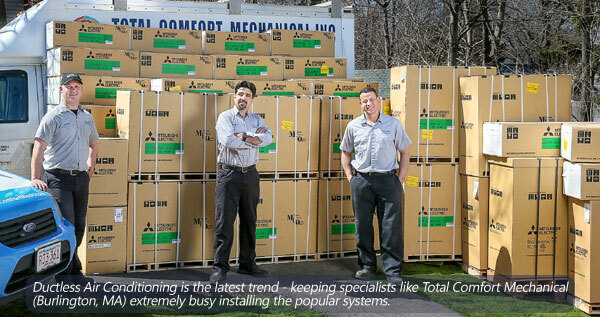 When reviewed, HVAC contractors and homeowners consistently give high marks to Mitsubishi’s ductless systems. If that looks good to you, we’ll pass along financing and tax credit information to help you save money. We’ll expertly plan and affordably price custom solutions for your home or business. Our expertise increases with every installation. You’ll love experiencing our team’s expert workmanship, but not as much as you’ll love the quiet and air quality of your state-of-art system. HVAC (Heating - Ventilation - Air Conditioning) can sometimes be overwhelming. Here we'll break down some of the most commonly used terms in the business, so the next time you call your heating and air conditioning service specialist for help, you'll impress the expert! BTU/H: (British Thermal Units per Hour): A measure of cooling or heating capacity. Ductless Mini-Split: Ductless systems consist of one or more outdoor compressor units and indoor air-handling units, called “heads”, linked by a dedicated refrigerant line. There is no ductwork required. External Static Pressure (ESP): Measure of static pressure losses from ductwork, fittings, dampers, grills, and any other devices located in the airstream. Heat pump: An air conditioning system that provides either heating or cooling - because it can reverse the direction of refrigerant flow. Indoor unit: The air handler of the air conditioning system. It contains a heat exchange coil, filters, remote signal receiver and fan. Outdoor Unit: A component of the air conditioning system which contains the compressor, fan, circuit board, and heat exchange coil. It pumps refrigerant to or from the indoor unit. Refrigerant: Many people commonly refer to refrigerant as Freon, which is actually a 'brand' name (much like Kleenex). Refrigerant is a gas/liquid substance that is used to provide cooling, by direct absorption of heat. The most environmentally-friendly refrigerant at this time is R410A. Refrigerant lines: Insulated copper tubing through which refrigerant flows to and from the indoor and outdoor unit. SEER (Seasonal Energy Efficiency Ratio): The rating of the seasonal efficiency of air conditioning or heating units. The higher the SEER, the more energy efficient the unit is. A trained and licensed HVAC contractor can help you determine the appropriate options for your home's air conditioning. 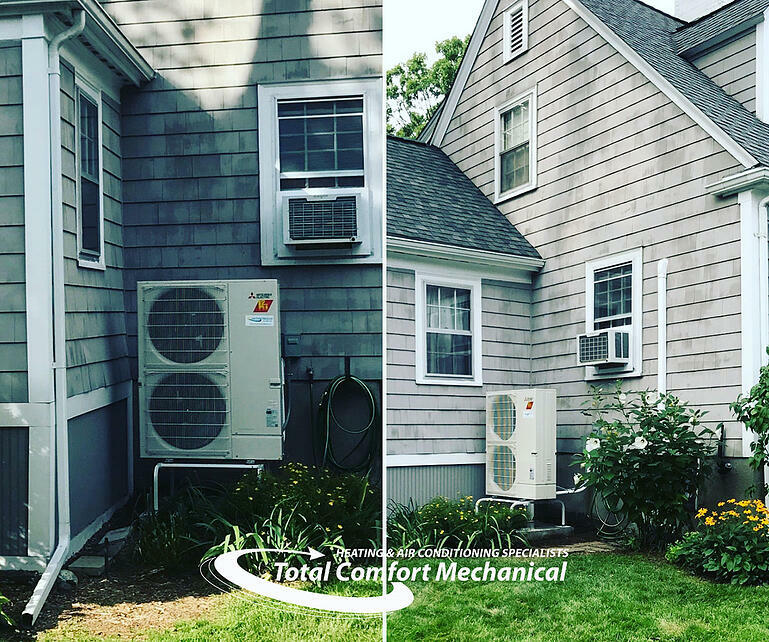 For more information, contact the Total Comfort Mechanical Heating and Air Conditioning Service website or call us at (781) 697-9016. Ductless air conditioning is quickly gaining popularity in the US, as it is in Europe and Asia over recent years – for many reasons. 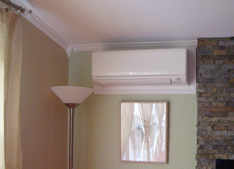 A Ductless (mini-split) AC unit is an efficient and affordable alternative to the traditional central heating and air conditioning systems that require a network of duct lines to circulate air. In older homes that have no ducts or a newly-built home that doesn’t use forced-air heat (with no ductwork), installing a central A/C system can be extremely costly. Opting for a ductless air conditioner or even multiple units to cool different zones in the home is a more affordable solution. Multi-zone outdoor units connect more than two indoor units, providing individualized comfort control to different areas within the home. For example, the Mitsubishi Ductless outdoor multi-zone units can be configured for as many as four or more individual ductless air conditioning units. Mini-split systems also are excellent for sun rooms and homes with hydronic heating. 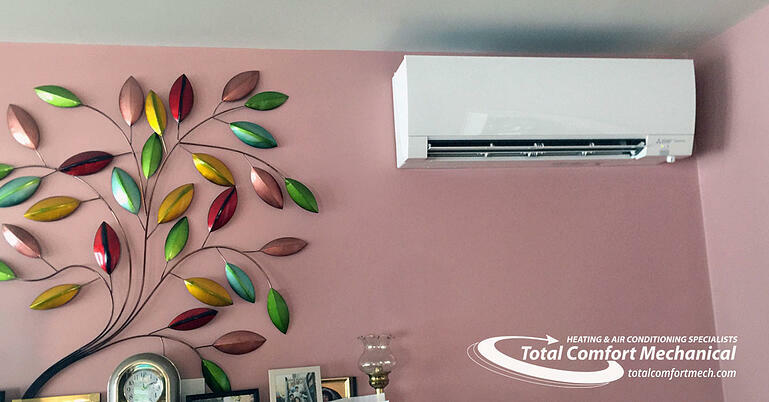 Ductless indoor units (also known as ductless mini-splits) can also be controlled with convenient remote controls – both wireless and wall-mounted programmable touch-screen thermostat controls and WI-FI. And number 7, they save money. Ductless air conditioning uses less energy than traditional air conditioning systems, which can dramatically reduce your energy usage. For zoned systems, you can control individual room temperature and only use energy where and when you need it! Consult with an HVAC professional to determine if a ductless air conditioning system is a viable option for your home and to get recommendations on which product options are right for you. Diamond Contractors that specialize in ductless A/C system installation and trained experts like those at Total Comfort Mechanical in Massachusetts can give you a quick estimate and also find out if any other rebates and tax credits are available.